ROSEBURG, Ore. — A two week stand-off with law enforcement ended with a Roseburg man in custody. The Douglas County Sheriff’s Office said it started on March 4th. They said 42-year-old Stephen Cain refused to comply with a court ordered mandate to turn over custody of his 3 year old daughter. Deputies said he barricaded himself inside his home on the 100 block of Willamina Court in Roseburg. Over the course of two weeks, negotiators worked with Cain. The Sheriff’s Office was aided by the Roseburg Police Department, Oregon State Police, Douglas Interagency Narcotics Team and the FBI. Deputies say Cain made threats against law enforcement if they tried to force their way into the home. As officers did not believe Cain was an imminent threat to neighbors or citizens, they continued their negotiations until Monday. That’s when they say Cain finally agreed to turn over his child to authorities in a peaceful resolution. 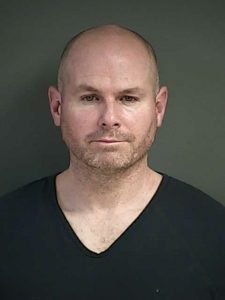 Cain is now being held at the Douglas County Jail on charges of custodial interference and obstructing governmental or judicial administration.